2017 J.D. Power Performance ratings and awards are based on the feedback of verified car owners who have owned their vehicle for 90 days. This rating includes their opinions of the engine, transmission, driving dynamics, seat comfort, usability of technology, feel of safety and visibility. In 2017, Porsche built the most appealing vehicles. Porsches keep getting more powerful, and that must be helping the company to remain appealing. Once again, it is the highest-ranked brand in overall appeal in 2017. Small cars provide affordable, efficient transportation solutions. These were the highest-ranked small cars and SUVs in performance and design in 2017. Each year, J.D. 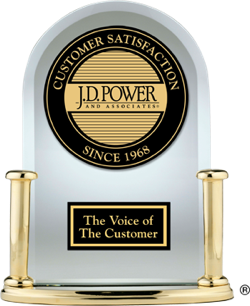 Power measures owner satisfaction with a vehicle's performance and design. Based on these findings, these 2017 compact cars and SUVs are the most appealing. Among Compact Multi-Purpose Vehicles, the alert 2017 Kia Soul was the top-ranked model in performance and design. Each year, J.D. Power identifies the most appealing models in terms of design and performance. According to the company's research, the following 2017 midsize cars and SUVs were highest ranked in their respective segments. Ranked highest among Midsize Pickups, the ingenious 2017 Honda Ridgeline earned an award in performance and design. When it comes to design and performance, the following 2017 large cars and SUVs ranked highest for overall vehicle appeal. Highest-ranked in the Large Car segment, the enjoyable 2017 Kia Cadenza excelled in performance and design. This buyer’s guide highlights the top-rated 2017 Coupes and Convertibles from the J.D. Power 2017 U.S. APEAL Study. This buyer’s guide highlights the top-rated 2017 Luxury SUVs priced under $50,000 from the 2017 U.S. APEAL Study. Car owners’ satisfaction with their new vehicles shows one of the strongest gains ever, according to the J.D. Power 2017 U.S. Automotive Performance, Execution and Layout (APEAL) Study.